Lots of parents I know try to balance the amount of screen time their kids get. I think that's an excellent idea. Sometimes kids lives are so switched on, or so full of extra-curricular activities, that they don't get much time for two very important things: creative play and sharing books. However, when it IS screen time, it's nice to have options for screen activities that are gentle, entertaining and wholesome. So I'm always on the look out for such options when I wander around the internet. Recently I stumbled across Fungooms and wanted to tell you about it. At Fungooms.com, each Fungoom character has a studio, where kids can try different activities. For instance, in Looe's studio, kids can change Looe (starry head dress character in top screen grab image) to make a different-looking Looe - an avatar that can be printed out. You can check out the new Looe I created, below left. There's also a cog puzzle which becomes a bed time clock, balloons to inflate, children to tickle, a virtual felt board to arrange, and a sculpture to reveal. 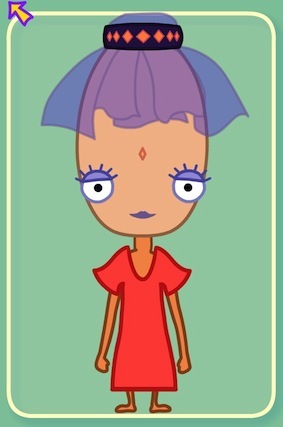 Mena's studio has stories for kids to watch/listen to. Bodmin's room has games pre-schoolers will love - e.g. cars that collect letters of the alphabet and whales that bump numbers. Other Fungooms also have studios for kids to explore, encouraging mouse use and prediction. 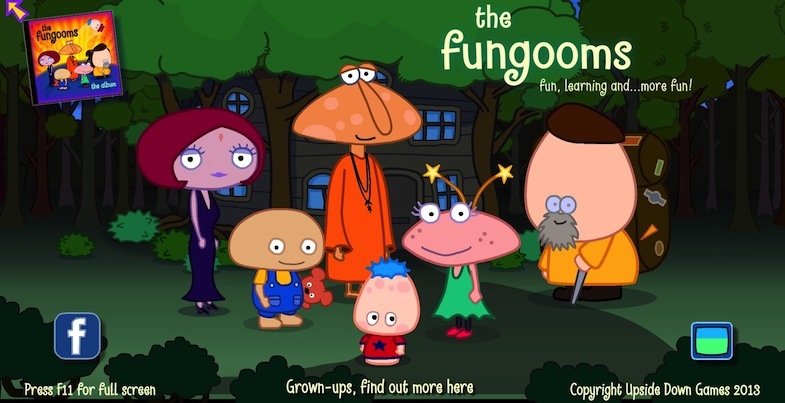 The Fungooms website reminds me of Poisson Rouge in some ways - it's a nice place for kids to explore with their parents and giggle over things together. There are ads but they aren't intrusive. The music is gentle, relaxing. There are no directions, just an implied invitation for kids to explore, experiment and create. You can find out more about Fungooms via the video below.